This is A LOT of hearts. There's sheets of Wisteria Wonder stamped hearts. 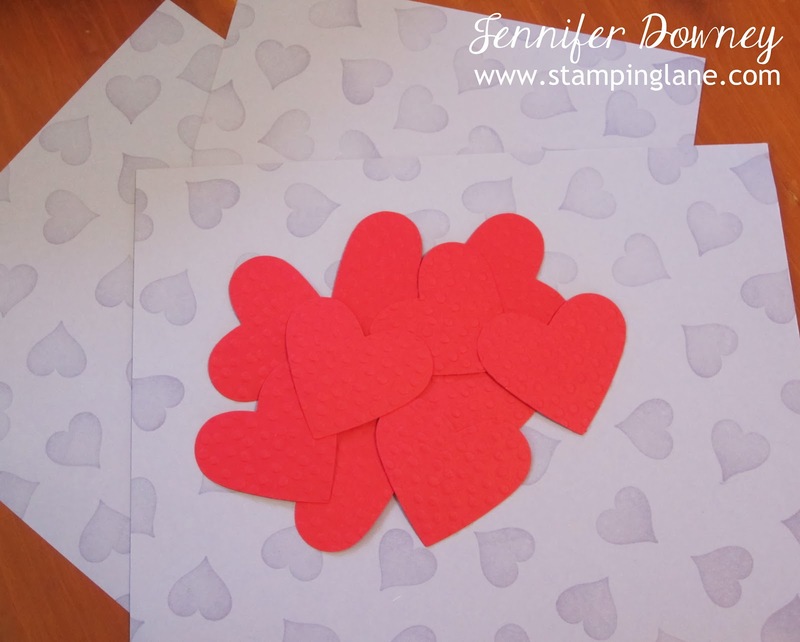 There's embossed die cut Real Red hearts. Wonder what all this is going to make? Hmmm.....I'll share the finished projects next week. Oh, the agony of waiting! Until then, tune in tomorrow for another fun stamped project! Happy Stamping!